Chattambi Swamikal was a Hindu Saint and a social reformer. He was known for raising the voice against the barbaric and orthodox caste and color system prevalent in that state at that point in time. Chattambi Swamikal sited the excerpts from the Vedic texts to disprove the logic behind the existence of the caste system. His school of thought became popular amongst the neo-reformist leaders of the state and formed the foundation stone for the future political organization and cultural movements in the state. Inspired by his thoughts, the leaders such as Poikayil Yohannan, Ayyankali decided to lend their voice for the cause of people who represented the marginalized section of the society. In his efforts to restore equality for the marginalized section of the society, he was joined by Sree Narayana Guru who drew inspiration from his mentor and guru Thycaud Ayya Swamikal. In fact, Thycaud Ayya was also the mentor and guru of Ayyankali and Chattambi Swamikal himself. Chattambi Swamikal knew about the importance of women in the social reforms. Hence, he asked the women folks to shed their misconception and come out to participate in support of the struggle against the ways and means of ritualistic and caste-ridden Hindu society. Chattambi Swamikal was born on August 25, 1853 in a suburban village of the capital city of the erstwhile Princely state of Travancore. His place of birth was Kollur in the Thiruvananthapuram district of the present-day Kerala. Chattambi Swamikal was born to a couple from a reputed Namboothiri family of the region. His parents were Vasudeva Sharma and Nangamma. His original name was Ayyappan. During his childhood days, he was fondly called as Kunjan. Hence, he got another pet name Kunjan Pillai. Since he was not given formal education by his parents owing to the bad financial condition of the family, Kunjan taught himself the letters and words from the children of his neighborhood. Kunjan was craving for knowledge from his childhood. In fact, he learned the basics of the Sanskrit language by overhearing the lessons taught in a Namboothiri house nearby. Looking at the interest for learning more things in life, an uncle took him to Pettayil Raman Pillai Asan who was running a traditional school in Thiruvananthapuram. Pettayil Raman PIllai Asan was a renowned scholar and a writer at that point in time. The young Kunjan was very good student in the class. Hence, Raman Pillai Asan gave him the formal training without charging any fees. During this time, he happened to monitor the class with a high hand. Hence, he got another pet name Chattambi. During his formal days at the traditional school run by Raman Pillai Asan, Kunjan Pillai happened to meet many great personalities in the cultural arena when they came to participate in workshops. These workshops were conducted by Jnanaprajagaram, an academic self-help group formed by Raman Pillai Asan with the help of scholars from different academic fields. While interacting with eminent academicians, he learned Tamil language, Philosophy and Yogic Science. Kunjan Pillai learned Tamil from reputed scholar Swaminatha Desikar, Philosophy from Professor Manonmaniyam Sundram Pillai, and the science of Yoga from Thycaud Ayya Swamikal. The latter also initiated Kunjan Pillai to the world of Spirituality by giving the Balasubramanya Mantra. Meanwhile, the burden of looking after his family fell on him. So, he took up a variety of jobs to support his family financially. In the midst of these miseries, Kunjan appeared for the Clerical Exams in Government Secretariat and stood first in it. He joined the government service after successfully clearing the recruitment exam. He continued in the coveted government job only for a while, as he wanted to experience the freedom to learn and explore different aspects of spiritual research. Chattambi Swamikal was fortunate to have more opportunities to meet many philosophers in his time. He happened to attend one of the annual Philosophical Conferences conducted by Travancore Kings at the Royal Palace Complex, adjacent to the famous Sri Padmanabha Swamy Temple. At this conference, he met Subba Jatapadikal who was a renowned expert on topics such as Tarka, Vyakarana, Mimamsa and Vedanta. After the interaction, Subba Jatapadikal was so impressed with young Kunjan that he decided to take him as his disciple. Under the able tutelage of him, young Kunjan Pillai acquired the deep and extensive knowledge of all topics in Tamil and Sanskrit languages. Chattambi Swamikal further studied Siddha Medicine, Music and Martial Arts from other renowned personalities who came to deliver a lecture in the school run by Raman Pillai Asan. Using the knowledge gained in Tamil, he analyzed the works of Kodakanallur Sundara Swamikal to understand the concepts coined by him. He liked the work of the Sundara Swamikal and decided to follow it. He even translated the work into Malayalam language to help the future spiritual aspirants of the state. After learning the principles of Philosophy under Subba Jatapadikal, Chattambi Swamikal decided to learn the basic tenets of the Christian and Muslim religions. For this purpose, he worked under a Christian Priest to know more about the principles of Christian meditation and philosophy. Similarly, he worked under an old Muslim well versed in the Koran and Sufi mysticism to understand the tenets of Muslim religion. After having learned the purposes of all the major religions, Kunjan Pillai understood the fact that all religions teach human beings the ways to lead fruitful and peaceful life. From this realization, he further reasoned that the cause of the religious dispute was the misinterpretation of underlying principles in them. So, he went in search of eternal peace to different parts of the country. While he was wandering in a place in Southern Tamil Nadu, he came across a Saint who was well versed with the mystic styles of Siddha Vedha. With him, he went into the deep jungles of Southern Tamil Nadu to do the meditation. At the end of this meditation, he obtained the eternal bliss and happiness he was looking for. It is believed that the old man Chattambi Swamikal had met belonged to the line of immortal masters who knew Siddha Veda in Southern India. In other words, the yogi he met belonged to the class of Siddha Yogis who knew scientific ways of realizing the Eternal Power or God. Being a great scholar, he has come out with various compositions for the benefit of his disciples and spiritual aspirants. Many of his works have come in the form of single stanzas, muktakas, essays, critical works, Bhajan songs, translations, short notes, commentaries, letters, etc. 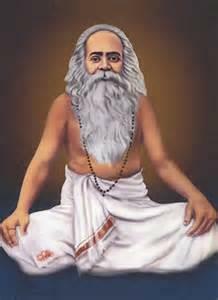 Some of the major works of Chattambi Swamy are listed below for the benefit of the readers. Vedadika Nirupanam: It is considered as one of the greatest works of Swamiji. The book refuted the basis of caste and color system as malicious and baseless rituals that harm the social fabric of the society. His book formed the platform or launch pad for the future struggles that eradicated the menace of untouchability from the society. Hence, the book is regarded as the catalyst for the Cultural Renaissance in the state. Commentaries on Vedanta: He wrote guides and commentaries on Vedanta to benefit the common man. Of these, the work by the name Advaita Chinthapaddhathi stands separate from others. This is written in simple layman language to help the common man understand the tenets of Advaita Sidhanta. Books on Christianity: Chattambi Swamikal has written two books on Christianity. They are Christumatha Saram and Christumatha Chethanam. In the first book, he describes the life of the Christ. In the second book, he describes how the so called missionaries of Christianity twist the correct meaning of the religion to serve their private ends. Through this second book, he warns the readers against such disguised missionaries. Chattambi Swamikal was a Hindu Sage and a social reformer. He studied carefully different religions to find out the purpose of their true existence in this world. Based on the knowledge he gained through the studies, Swamiji compared different religions and assimilated the good aspects of them to teach mankind. Using this knowledge, he refuted logically the premises of the rituals of untouchability. He wrote a number of books on various topics pertaining to religion. While writing the books and other materials, Swamiji chose to make the presentation simple and logical to help the readers understand the concepts. These works later formed the basis for the future struggle against religious and cultural discriminations. His works also helped his disciples and future spiritual aspirants to further carry out the good work left by him.